Small-molecule π-systems bearing donor (D) and acceptor (A) groups constitute an interesting class of dyes because of their tunable strong absorption, which covers the visible and near-infrared range. The dipolarity associated with D–A structures directs antiparallel stacking arrangements in the solid state, thus reducing the dipolar disorder at the supramolecular level. Their straightforward synthesis and purification make them good candidates for photovoltaic application with power conversion efficiencies >6 %. 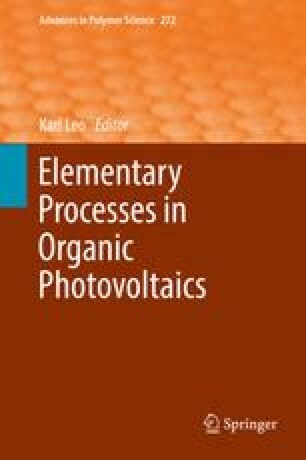 This review summarizes the application of D–A dyes, and in particular merocyanines, in organic photovoltaics in recent years. This work was financially supported by the DFG Priority Program SPP1355 (projects ME 1246/19 and WU 317/10). We thank all our co-workers who were involved in the research reviewed here as well as our collaboration partners from academia and industry.